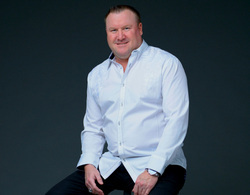 For Cory Stone of Ultimate Choice Commercial Roofing, being involved with the Choice Roof Contractor Group and Conklin has been an opportunity in which everybody wins: Roofers win, customers win and mentors in Conklin win. For roofing contractors, the benefits of Choice Roof Contractor Group membership are multifold. Contractors belonging to the group receive professional training through Conklin to ensure they know how to expertly install today’s industry-leading products. Not only are roofers able to offer their customers some of the best roofing solutions in the market, but they also have access to expert education regarding those products. Of course training on its own isn’t enough. 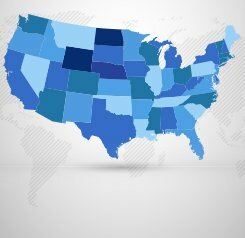 That’s why group members also value other inherent benefits of association, including shared national reputation, qualified roofing leads, discounted pricing on roofing products, exclusive training and networking opportunities, and a pool of expertise to draw from when they need advice on a perplexing job. For Cory, other standout benefits of belonging to the group have included the ability to bring on extra labor when he needs it for a project. 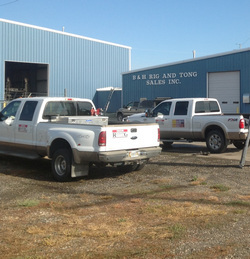 He has been able to hire other members of the group to assist in installing roofs from time to time. Though the group members are essentially competitors in the roofing business, this association lets them enjoy synergy rather than rivalry. 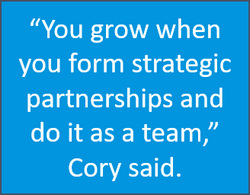 “You grow when you form strategic partnerships and do it as a team,” Cory said. Another benefit of working with Conklin that Cory is striving to take full advantage of is the opportunity to help other roofers join the Conklin family. 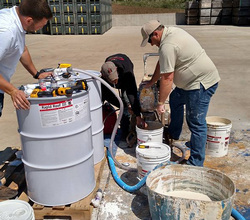 Introducing new contractors to Conklin’s products not only gives those new roofers access to high-quality roofing solutions and training, but it benefits the Conklin contractor who made the referral and helps the new roofer succeed—another win-win. Conklin is structured to reward contractors rather than salespeople, so when a contractor refers another roofer to Conklin, the referring contractor receives a commission for the products his recruit purchases from then on. As a result, the referring contractor is incentivized to share their trade secrets and do everything they can to make the next contractor as successful as possible. 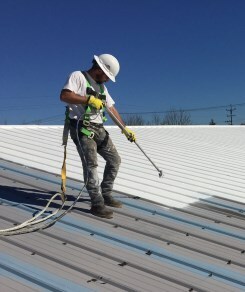 The residuals that result from recruiting new contractors to Conklin continue as long as the referred roofer continues using Conklin’s products. This can mean a lifetime of sales commissions, Cory said. This system not only gives Conklin mentors like Cory an additional revenue stream while they are active in the roofing business, but it can serve as an ideal retirement income when they are no longer able to climb up on roofs and do the labor. They can continue working with new roofers who are entering the industry and introduce them to Conklin’s outstanding products and solutions well into their retirement years. Within the Choice Roof Contractor Group, group accountability is a key focus, and members are held to a high standard of excellence—something their customers definitely benefit from. This means if they bring the name down, they get kicked out and lose all benefits. Choice Roof Contractors also have a vast network of roofing professionals to call on when they encounter a complicated roofing job, which further helps ensure clients their chosen roofers always have countless years of experience to tap into. 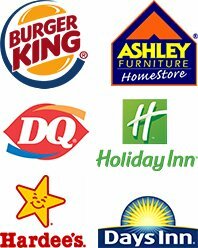 They no longer have to rely on the expertise of just one company. A key focus for Cory is helping his customers navigate the insurance process to get the repairs they need when their roof has been damaged. His company offers claims help and also advocates on a client’s behalf when an insurance claim has been denied. Additionally, if a client can’t afford the high insurance deductible to have repair work done, Conklin’s roof coatings are excellent and affordable options Cory is able to offer his customers. “We’re in it to help the client restore their building,” he said. Cory is actively spreading the word about Conklin and the Choice Roof Contractor Group, and he is happy to share the information with other roofing contractors who want to do more commercial this year. “If they have any questions and want to join the best team in Conklin, they should call us,” he said. To find out more about how your roofing business can benefit from Choice Roof Contractor Group membership, contact Cory at (817) 876-6253 or info@ultimatechoiceroofing.com. He will be glad to speak with you about this commercial roofing association and the many benefits of working with Conklin. This entry was posted on Thursday, March 8th, 2018 at 10:47 am and is filed under Commercial Roofing, Conklin Roofing Systems, Featured Contractor. You can follow any responses to this entry through the Comments Feed feed. You can skip to the end and leave a response. Pinging is currently not allowed. For choosing the expert or good constructors in your roof is basing on how people gives feedback who experience the work of that team. Thank you for sharing your expertise knowledge and the works of your team. Great job! This is truly an amazing opportunity for an aspiring roofer to get trained in the trade and also get its first contract and also established roofers can also polish their skills and increase their business through effective networking and great leads. Completely appreciate this effort to bring the entire knowledge-base related to roofing under one roof and give the novice roofers an opportunity to learn the ropes and flourish further. Definitely a great service to the roofing industry. Excellent article. It is pretty apparent how valuable the Choice Roof Contractor Group and Conklin are in collaboration for a roofing contractor. Our company will absolutely have to look into this winning combination.